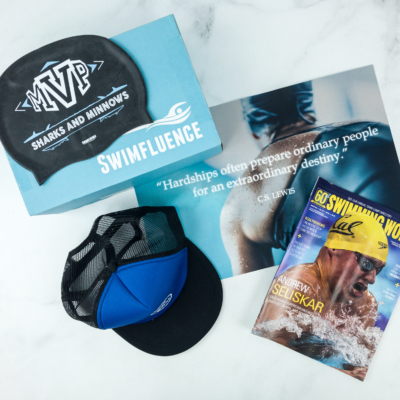 Swimfluence sends a monthly box containing 6 to 8 pieces of gear and products curated for competitive swimmers. 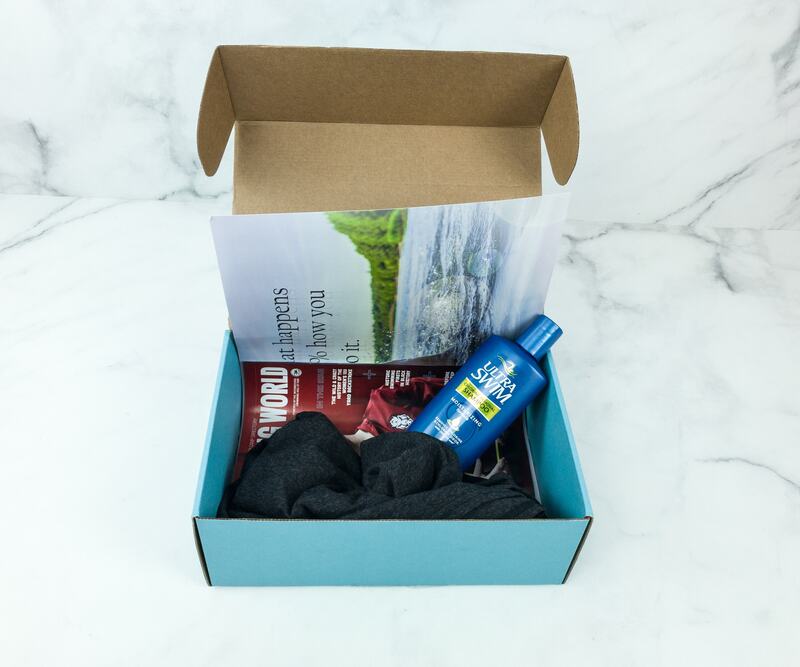 The subscription aims to foster healthy habits while introducing swimmers to helpful products designed for a swimmer’s lifestyle. There’s no extra packaging. Just the items, magazine, and poster covering them all. Poster. 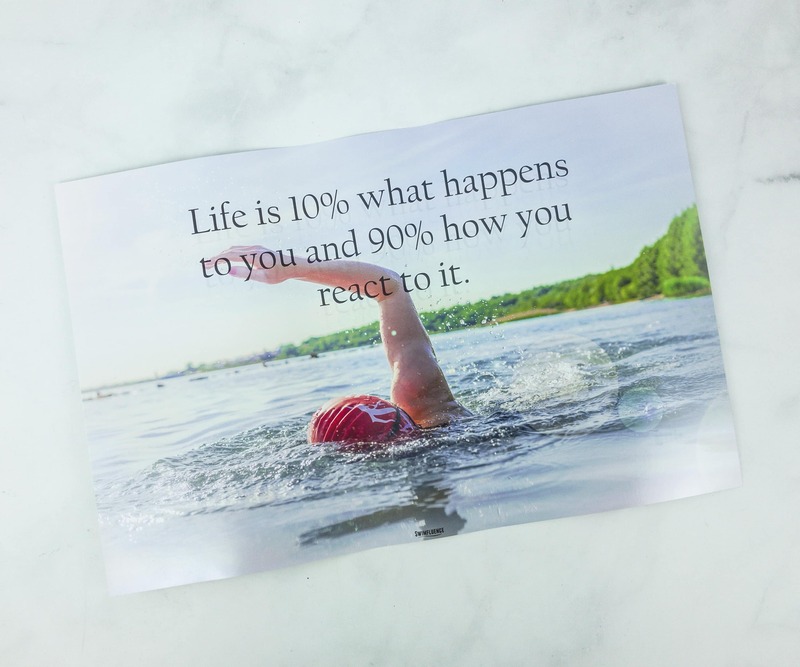 Every month, Swimfluence includes a poster with an inspirational message. 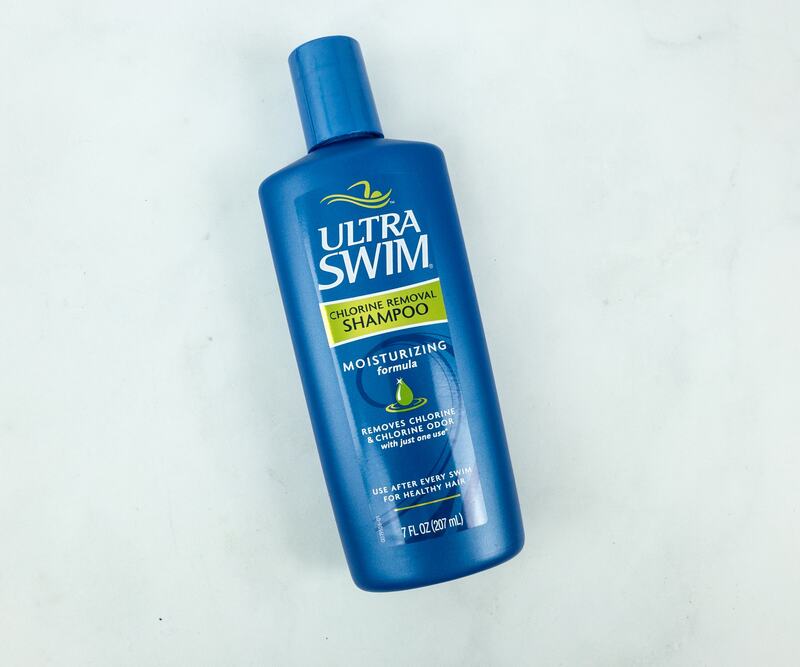 Ultra Swim Chlorine Removal Shampoo ($6.45) It’s a uniquely formulated shampoo that gently removes chlorine build-up and chlorine odor from the hair while helping it to replace the lost moisture. 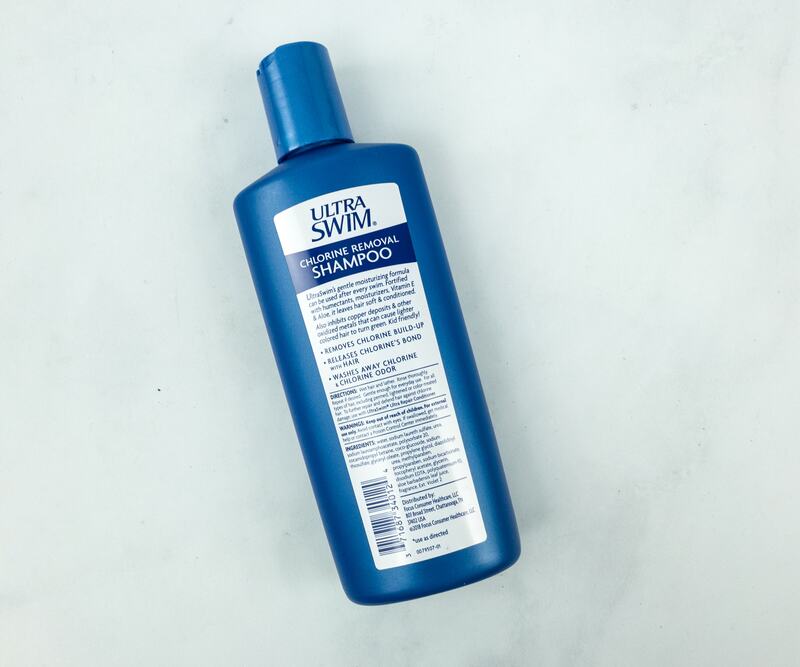 This shampoo is fortified with humectants, a special substance used to reduce the loss of moisture, vitamin E, aloe, and moisturizers, leaving your hair soft and conditioned all the time. This is perfect – my wife reminds me all the time that when she was a child she had to cut all of her hair off because it turned green. It’s totally necessary for a competitive swimmer! 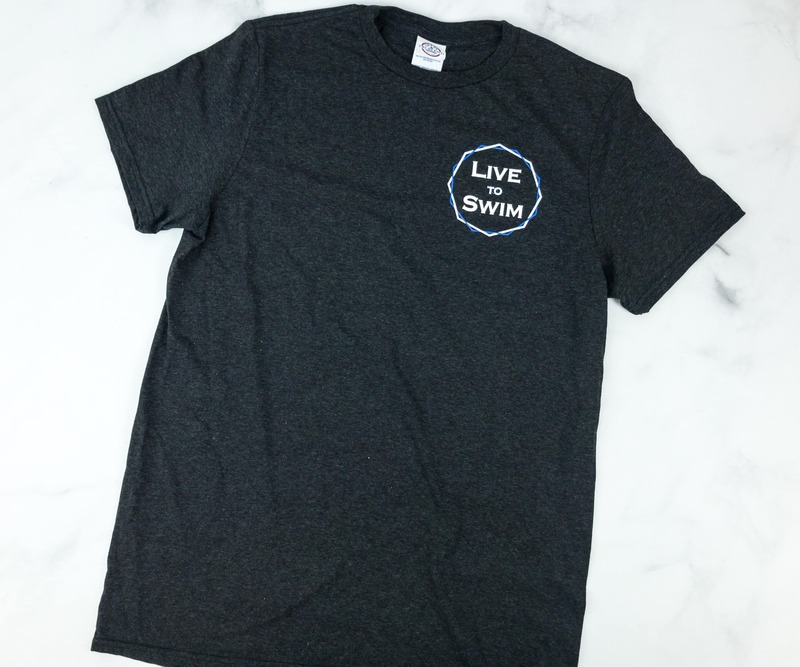 Live To Swim Shirt. This month’s featured item is a heathered black tee. I like the simple design in front! 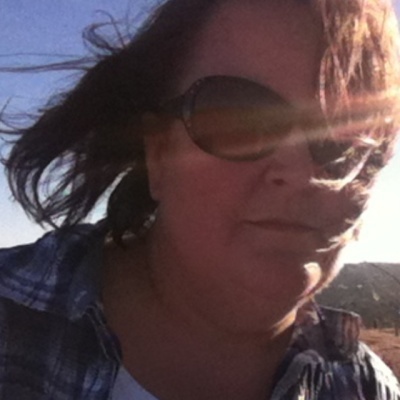 This shirt is made from 50% polyester, 25% cotton, and 25% rayon. 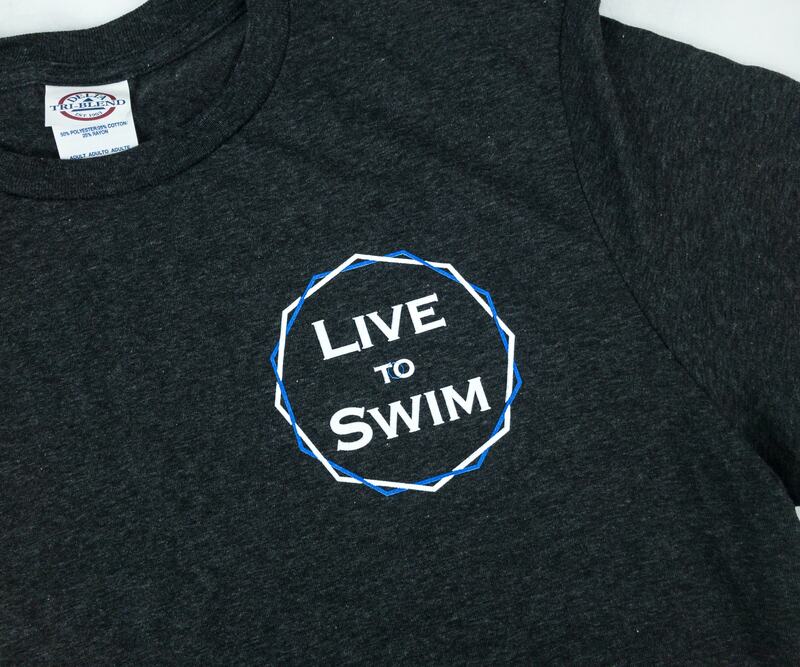 It’s soft and comfortable to wear, making it the ideal shirt to use during swimming practices. 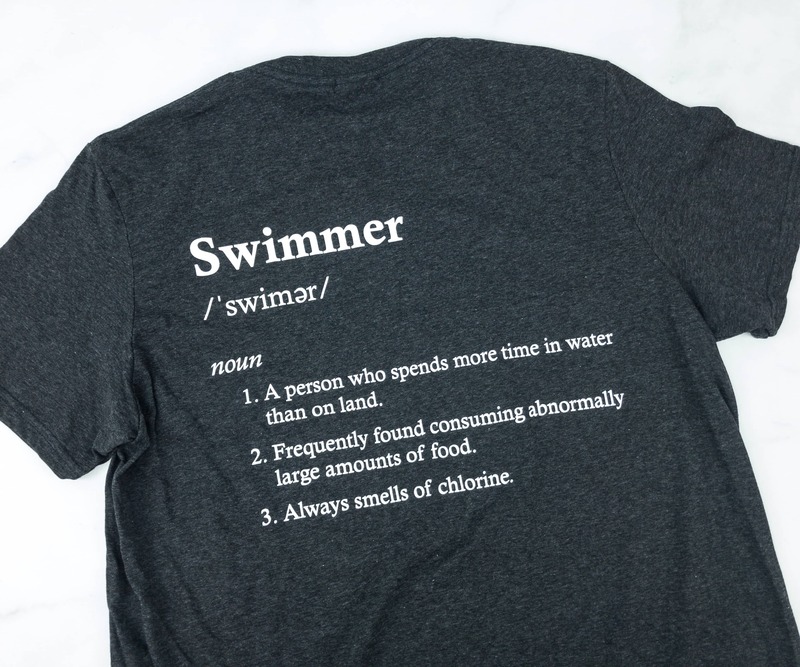 Printed at the back of the shirt are 3 different definitions of a swimmer according to Live to Swim. It’s funny and witty! Swimming World February 2019 Issue ($5.94) Every month, Swimfluence includes a monthly edition of Swimming World Magazine, and this month’s featured swimmer is Brook Schultz, the NCAA diving champion. 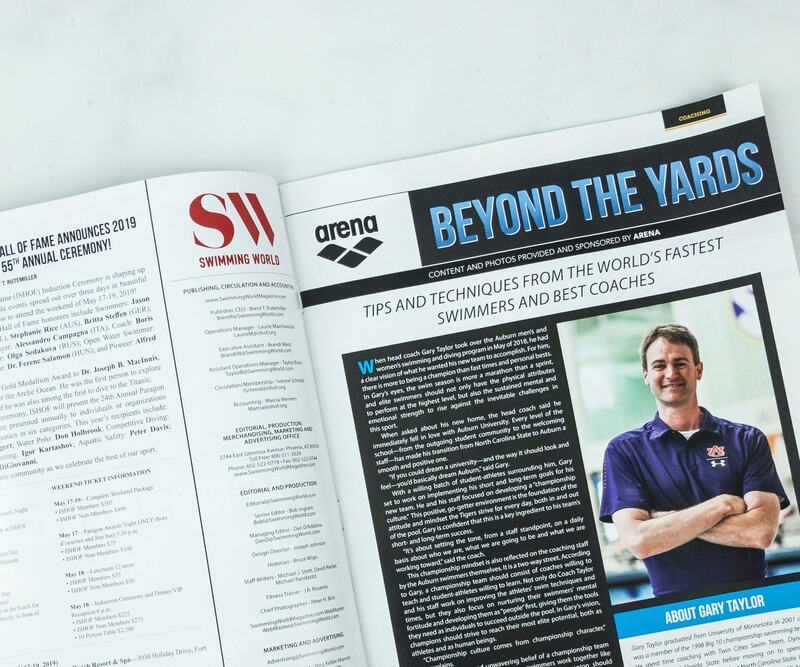 This magazine is produced by the International Swimming Hall of Fame, targeting every swimming enthusiast, most especially the youth in high school and college. 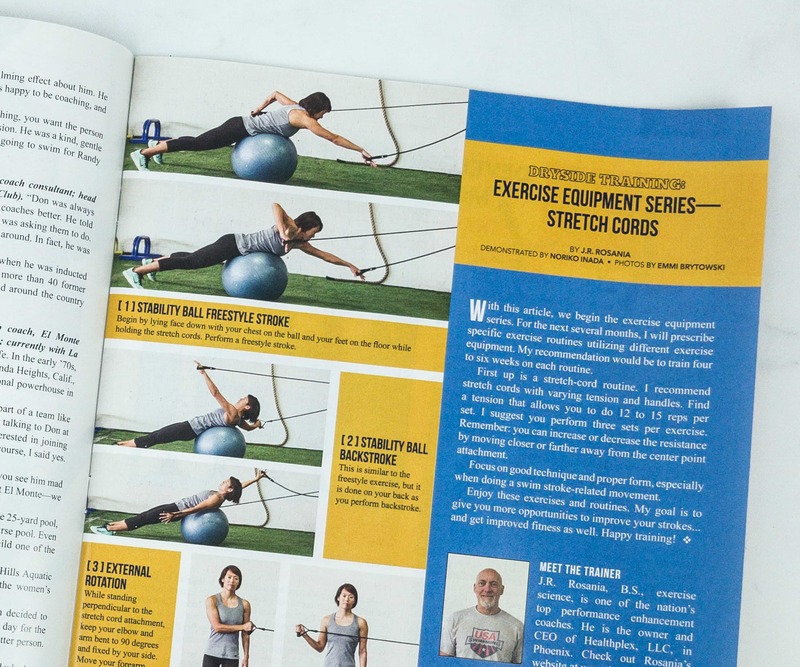 There’s a feature about dryside training made by coach J.R. Rosania and Noriko Inada, a retired Japanese Olympics swimmer. This training helps you improve your inner core and muscles, and enhance your swimming strokes without getting wet. 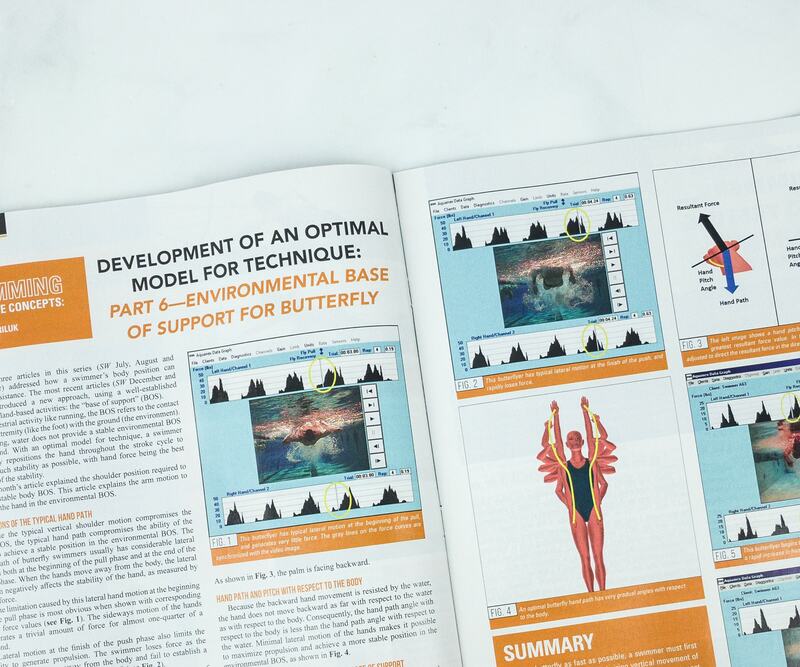 Another interesting article is this one about the butterfly stroke. It’s one of the most difficult swimming techniques, so they provided a detailed breakdown including where to position your arms to gain the most stability, maximum propulsion, and the fastest swimming velocity. In every swimming competition, the winner is not decided on who has the most conditioned body, it also requires emotional and mental preparation to become a real swimming champion. 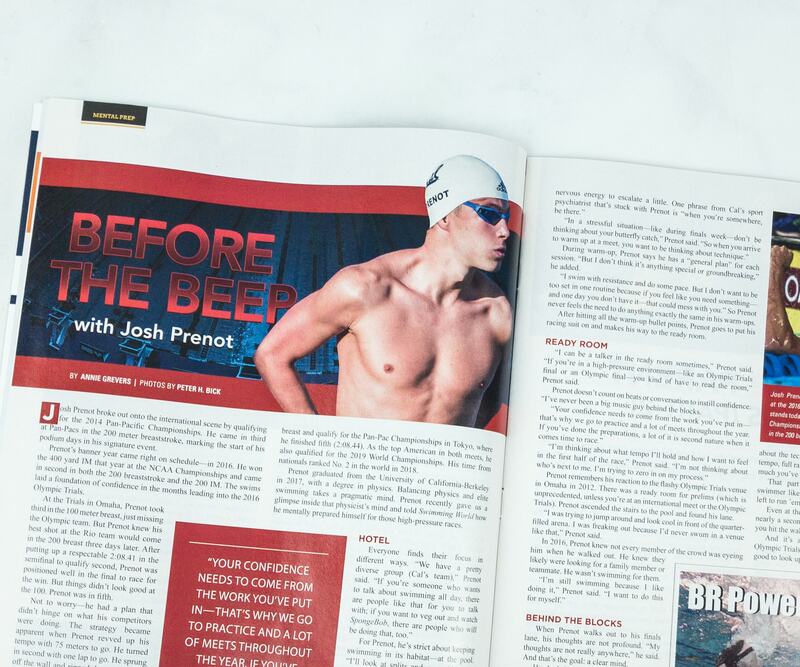 This feature shares the techniques and mental preparation of swimmer Josh Prenot. There are even fun facts about aquatics from the International Swimming Hall of Fame (ISHOF), as well as the Historic Swimming Firsts in Black History! 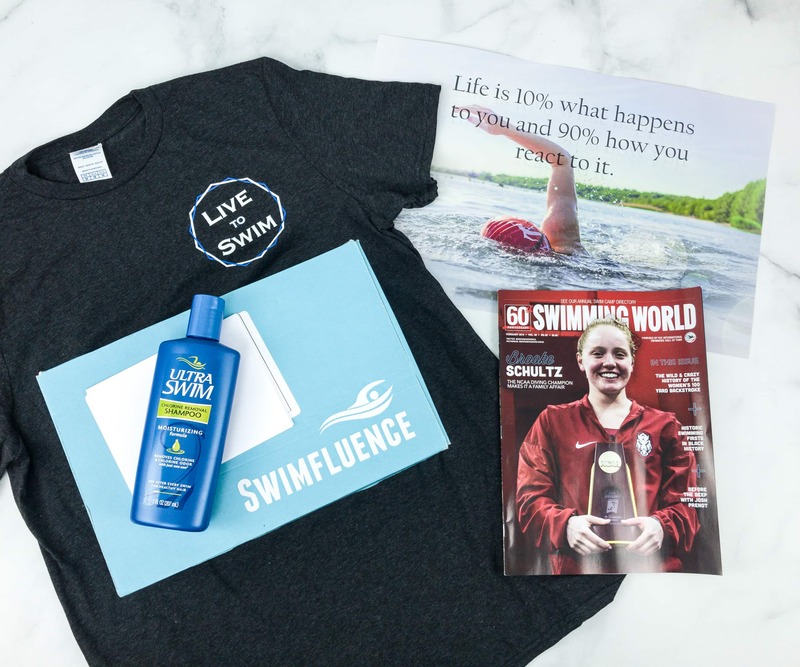 This month’s Swimfluence is pretty good, as they delivered items that any type of swimmer can use. 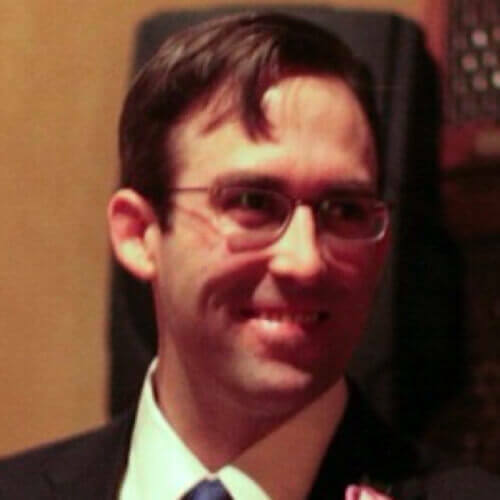 The shampoo works really well. It made our kids hair feel smooth and soft, it’s really a must-have. The black shirt looks pretty cool too. As always, the magazine is a fun and informative read. I’m looking forward to future boxes and more useful swimming gear! Any thoughts about the Swimfluence box? Visit Swimfluence to subscribe or find out more! 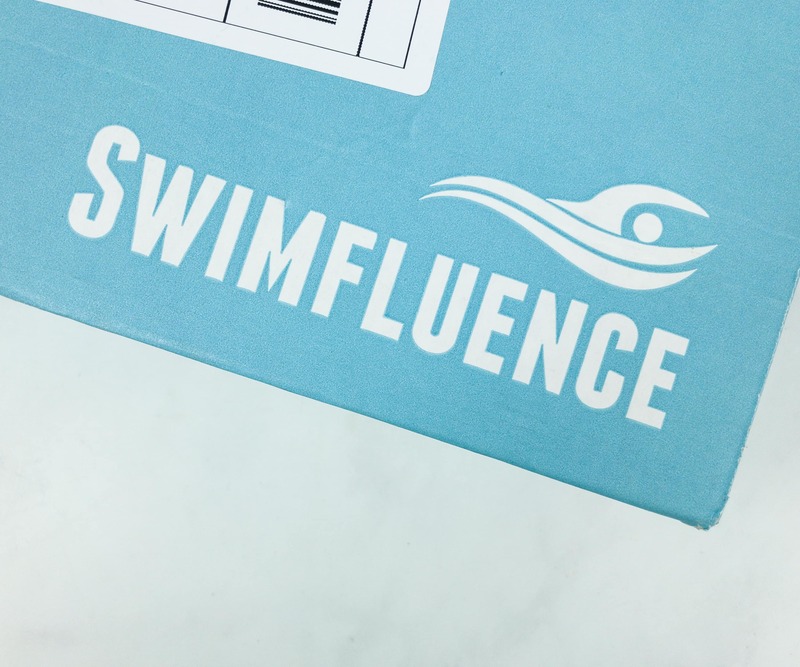 Every month Swimfluence ships a box, filled with awesome gear and essential products, preparing swimmers across the world for the ruthless chlorine ridden environment that is all too familiar. Swimfluence aims to build healthy habits as well as introduce customers to products they never would have known existed! Free Shipping to the US, $20 International. When my daughter swam competitively she always used that shampoo, followed by a good conditioner. It worked well!